Kick Masters Karate's goal is to develop a confident leader who is capable of defending him or herself in the six ranges of fighting (verbal, weaponry, kicking, punching, close-quarter, and ground grappling), while instilling character and moral ethics which are unsurpassed in today's culture. The main objective of the Kick Masters staff is to give its students the highest level of professional martial arts instruction, while keeping classes fresh, innovative, and highly structured. Also, to develop each student's mind and body through rigorous activities and competitions, and to develop of sense of community through various family oriented functions, and highly energized karate oriented contests and drills. This complete program is set up to hone key aspects of physical fitness such as flexibility, stamina, mobility, strength, agility, and timing through various exercises, drills, and conditioning. More importantly, students respond by developing discipline, high levels of self-esteem, respect, extreme focus, self-motivation, and by establishing goal-setting abilities through the belting system and academic programs. Fully trained instructors are of the highest quality and the passion they have for the art is evident in each student's advancement and personal growth. 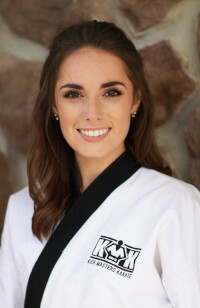 Kick Masters Karate is a Tae Kwon Do ("hand foot method") based system, which was established in 1992 by founder and 4th Degree Black Belt Mr. Ronald W. Burner. Derived from Tae Kwon Do pioneer Jhoon Rhee, the system was first established in Frostburg in 1979 under the name of Western Masters Karate System. Founded by Fifth Degree Black Belt Master Dane Harden, the Western Masters Karate System had three schools, one located in Damascus, Maryland, one in Salisbury, Maryland, and a third located in the Frostburg Armory. The school was moved to the Frostburg Community Center in 1991, and remained there through the system’s name change to Kick Masters Karate shortly thereafter. Following the purchase of Kick Masters by Master Rick Rando and a partner in January of 2001, the system relocated to the old Majestic Gardens building behind the Day's Inn. Master Rando then acquired the system in 2005 and moved the school to the newly constructed studio in Clarysville. Today, certified martial arts instructors teach classes 6-days a week in one of the largest, open space martial arts facilities in the country. Kick Masters Karate, LLC is a member of the Independent Tae Kwon Do Association (I.T.A.) and a member of the Martial Arts Industry Association (MAIA). Kick Masters is also a major sponsor of the “Character Counts Program” within the Allegany County Board of Education, and a proud supporter of the Vicki Via Dotson Leukemia Foundation.